Of course, it's Valentine's Day! If you've left buying a gift until the last minute, you don't have to resort to something rushed and impersonal. The special man in your life deserves a gift that will show him just how much you care. We've compiled five of our favourite last-minute ideas that will bring a smile to his face on February 14th. Your man doesn't like to make a fuss, and his style is timeless. 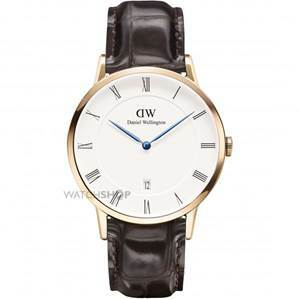 The Dapper watch (RRP Â£199.00) by Daniel Wellington is the perfect gift for such a gentleman. It will reflect his love of the traditional, while still looking on-trend. The smooth genuine leather strap is comfortable to wear and will suit both smart and casual occasions. The case has rose gold plating, which adds a modern finish, and the bright blue hands inject an element of fun that reflects his charming - and occasionally cheeky - personality. Check out the full Daniel Wellington collection to see why this watchmaker is such a big hit with today's discerning gentlemen. Jewellery is the fail-safe Valentine's gift, and men's accessories have boomed in recent years, with jewellery available to suit all sorts of styles and personalities. 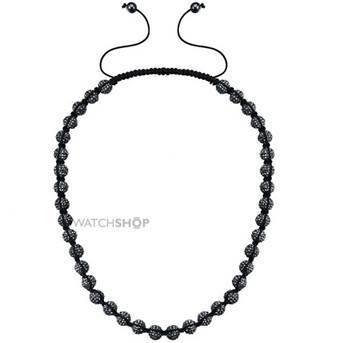 This black necklace (RRP Â£185.00) by Shimla Jewellery will make the perfect gift for the man who is a free-spirit at heart, but still likes to dress to impress. Inspired by surfer style, it features black and silver colouring, making it as suitable for the high street as it is for hitting the waves. Take a look at the full selection of men's jewellery to find an accessory that will finish his outfit perfectly. Maybe he keeps talking about getting into shape, or he already has a fitness routine that's not quite working for himâ¦ Chances are, he's told you all about it, and you've struggled to offer any advice that sticks - until now. 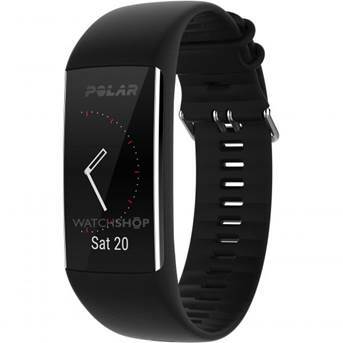 The Polar A370 Activity Tracker (RRP Â£169.50) is the perfect entry-to-mid-level fitness tracker, and might just change your partner's life. Stylish enough to for everyday wear, the A370 is multi-functional and designed to be worn constantly. Sleep monitoring, Android, and iOS compatible, a full-colour touch screen and heart-rate monitor work in conjunction with over 100 sports modes to track and improve all different types of exercise. Polar continues to be popular in the fitness watch market, thanks to their beautiful designs, easy-to-navigate interfaces, and varied selection of fitness modes. At heart, he's a bit of a nerd - and that's why you adore him. He gets excited about new technology and gadgets, and he has a soft spot for sleek and sophisticated fashion. The Touch watch (RRP Â£299.00) by Hugo Boss is ideal for the man who likes accessories that have something extra to offer. Suitable to link up with Android devices, the Touch watch can receive notifications, host apps, and even works with Android pay for remote payments. 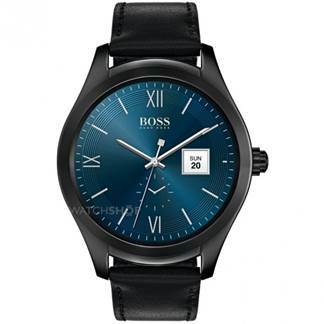 It encompasses the classic masculine features that are symbolic of the Hugo Boss brand, so he can enjoy his tech and still present a fashionable finish. For more fashion brands that offer stylish smart watches, check out Guess, Movado, and Fredrique Constant. You can't go wrong with traditional cufflinks. No matter what a man's style, taste, and age, every guy needs a good pair of cufflinks for special occasions. 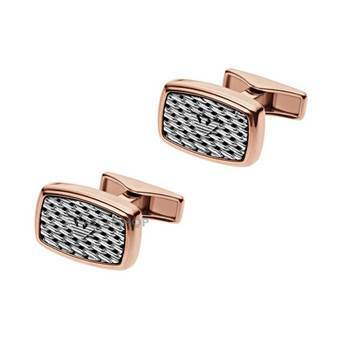 These rose cufflinks (RRP Â£135.00) by Emporio Armani Jewellery are guaranteed to deliver a smile on Valentine's Day. The silver colouring adds texture, while the rose gold PVD plating gives a nod to current trends. A last-minute gift could turn out to be one of the most memorable ones he'll ever receive. Explore our full range of men's watches for more inspiration.